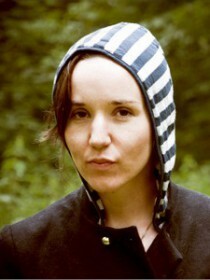 Sarah MacDougall has made quite a splash in the last few years. This up and coming alt.country/ indie folksinger has been everywhere and anywhere with her heartfelt songs and original style and lyrics. Sarah has toured Canada, UK and Scandinavia several times and there isn’t anywhere she has played where she hasn’t left a mark on her listener, and has often been called a favorite at festivals and venues, and she has been getting rave reviews all around for her latest c.d., Across the Atlantic, including 4-star reviews in Q magazine, The Irish Times, to name only a few. Sarah writes simple yet multi-layered songs that sometimes make you want to tap your toes and sing along. Sometimes they will break your heart .Across the Atlantic is a raw but polished and richly textured album and it features ten songs with serious stick-in-your-head melodies and poignant, sometimes quirky lyrics. Shifting back and forth between driving up-tempo ditties and bittersweet ballads, it is a beautiful album that celebrates train hopping and dancing in the rain. It also tackles heavy subjects such as having to leave someone behind across the Atlantic and poverty. Sarah’s stamp is everywhere on this record, as a performer, producer, and audio engineer. “I wanted to write an album that sticks in your head and grabs a hold of your heart.” says Sarah. “And I also wanted to prove myself as a producer and audio-engineer, because I am incredibly passionate about sound! And she certainly has proved that she is could produce, write and record an album that is both heartfelt and elegantly produced. Herizon magazine described Across the Atlantic as having “…a heart that beats strongly- unique in this day of over-produced music for the masses. A self-produced album that is restrained and elegant in execution, Across the Atlantic highlights an emerging talent breathing new life into old musical forms” She has been compared to artists like Eliza Gilkyson, Lucinda Williams, Johnny Cash, Tracy Chapman, and more, but is definitely a unique voice in her own right who has her own form of expression without attempting to copy anyone. 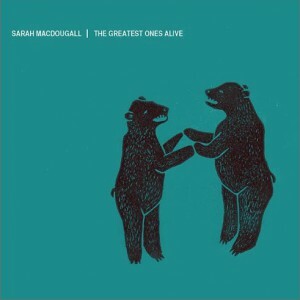 Sarah’s music has been heard on CBC (including Vinyl Café), BBC (including Bob Harris) as well as on Lufthansa airplanes. She has played everything from coffee shops to theatres, along with small and large festivals in Canada and the UK. She has shared stages with Todd Snider, James Keelaghan and Kimmie Rhodes, and toured Canada with Kate Reid and Joanna Chapman-Smith, and the UK with fellow Canadian band Po’Girl. Sarah most often tours solo or with trusted friend and virtuoso lapsteel player Tim Tweedale (Headwater, Viper Central). She is currently working on her upcoming album, which should be available for the world’s ears in 2010. Sarah was born in Sweden to a Canadian father and Swedish mother. She now lives in Vancouver, Canada.